I highly recommend attorney Lynn Norton-Ramirez because not only will she handle your case diligently but also professionally. I got two traffic tickets in two different counties so searching for the right lawyer who had experience in both Durham and Alamance was highly important me. After many hours of research I came across attorney Lynn Norton-Ramirez. Her experience in both counties was one of the main reasons why I hired her to represent me. I am glad I chose her because she was able to handle both cases fast and with great results (might I add she was able to dismiss one of my cases). I highly recommend attorney Lynn Norton-Ramirez because not only will she handle your case diligently but also professionally. I couldn’t be more pleased with my experience while working with Lynn. I can’t thank Lynn enough. I initially gave her a call based on a list of lawyers that I received from ARAG legal service. I had no idea who I would be speaking to or what to expect, but she greeted me as if we had a relationship for years. Her willingness to keep me informed during the process helped me feel comfortable with giving her the driving wheel. Lynn’s personality is amazing and I greatly appreciate her patience and persistence. I couldn’t be more pleased with my experience while working with Lynn. I recommend Lynn Norton-Ramirez. 5 Stars! As a victim of a malicious wrongful legal charge, I endured incredible stress during court proceedings, which lasted almost three years. I was later distress to learn that the attorney who was appointed to my work on my behalf by the court was not only inept at her job, but really was unconcerned about my fate. I labored an incredible number of days and hours to provide her with hundreds of pages of evidence in support of the absolute truth of my innocence, however she never bothered to review. She continued to needlessly extend the court date and never challenged my accuser, even though I had provided more than adequate proof of my innocence. My case had gone on for over two years and at a moment complete desperation, I elected to change to a new lawyer. I met with Mrs. Norton-Ramirez and my plight of being caught up on the endless wheel of injustice ended. Almost immediately after her taking my case, I saw significant results in my defense. She actually took the time to drive many miles to see me, since I had no car. She utilized the information regarding my innocence, which I had provided my prior attorney, and challenged the accuser and the system. Within three months, she had my case dismissed and it is now in process of being expunged from my record. Lives matter to Mrs. Norton-Ramirez as is evidenced by my case. Were it not for her competent and caring execution of the facts in my case, my life could have been forever ruined. Words cannot express my gratitude to Mrs. Norton-Ramirez and I consider her to be an angel within the legal justice system. Words cannot express my gratitude to Mrs. Norton-Ramirez and I consider her to be an angel within the legal justice system. Lynn is the best kind of person, and then, an even better lawyer. When hiring a lawyer, the pool is highly saturated and EVERY lawyer has a degree and credentials to boast about, so how can you ever make such an important decision? After going through a horrible experience with a terrible lawyer, I learned how to ask the right questions when choosing a lawyer; in order to protective my future and spend wisely at the same time. But before, let me tell you about how I met Lynn. I used Avvo and got bombarded by messages, each lawyer with a different rating. Lynn was one of those lawyers. She did not force her advice at all once I told her I had already chosen a different lawyer before meeting her, she wished me luck and I could tell she was a great person. This lawyer was too, I could tell he was extremely nice, even offered me a discount, but after actually talking to him on the phone, I knew he was inexperienced and a push-over. No dice. I gave Lynn a call back from her initial text message, and immediately could tell the difference. This lawyer who I had fired (before hiring) had told me, ‘while understandable and used as a alcohol joke in law school what I told him, could not be used as a defense’. Lynn right off the bat told me it was, without looking any code up or anything like the other guy wanted to. Then, She grilled me. I tried to give her my usual answers to questions that would pass for most people, as I have a degree in Economics and usually people tell me I am very smart, but Lynn did not fold. She wanted real answers, I knew right there she was enough Lawyer that I could hire her alone, and carry on with my life, as she encouraged me to. Moreover, Lynn is so inspirational in her way of giving advice. If she decides to work with you, consider yourself of the utmost fortunate human beings to ever get in trouble or need legal advice. In my case, I did everything she asked me to do, and we got the case dismissed, and today I am a better person than before I met Lynn, because now I have her encouragement and perspective forever in my mind. She is not a lawyer by Title and Name, like many Lawyers today on this site and that you’ll see, but by years of experience getting real-life results. Do you want a push-over or someone that all of her colleagues and superiors respect in the most serious life-changing moments you will ever have? Lynn does not fold. Lynn is the best kind of person, and then, an even better lawyer. I will more than recommend her to all my fellow Tar Heels and all my friends and family members in Orange County and Surrounding areas. Do yourself a favor and don’t go to court without her. I recommend Lynn Norton-Ramirez without any reservation. There is no exaggeration to say that attorney Norton-Ramirez gave me a second life. while generously helping me and my family in a holistic way. She finally got my case voluntarily dismissed. I highly recommend Lynn to anyone who needs serious legal assistance. Extremely Professional, Sensitive to My Specific Case, Handled it Swiftly & Confidently!! Knowing Lynn was handling my case took all the stress out of it for me. I would highly recommend her. My younger brother got in trouble with the law in February. He was accused of very serious charges. Lynn was very caring and understanding from the start. I am so appreciative of everything she did for my family. Not only was she caring, but very knowledgeable. We dealt with two other attorneys, one who was suppose to be very notable. Out of the three, she was the best by far! As soon as she took over the case, things turned around for my brother. He was released and his charges were dismissed. I would recommend her to anyone. I hired Lynn 1-6 months ago. Lynn handled my Criminal Defense matter. Attorney Ramirez is also dependable, exact and does let you know all of your options. No one wants to feel they will need an attorney but if you do, Ms. Lynn Norton Ramirez is the one you want in your corner. Easy to talk to, down to earth, explains everything so you will understand what you are up against. Thanks Ms. Ramirez for being the professional you are. Lynn was very quick to respond and took care of everything for my daughter. She made it possible for this matter to be settled in teen court which gives my daughter a second chance without being treated as an adult. She was extremely knowledgeable about the workings of Durham district court and made a very distressing situation bearable. I hired Lynn 6-12 months ago. Lynn handled my Juvenile matter. Attorney Norton-Ramirez immediately inspired confidence and reduced my anxiety regarding this matter. In addition, she was always available to answer my questions, even on weekends! I hired Lynn < 1 month ago. Lynn handled my Car / Auto Accident matter. I got a DUI in Fl and my Fl lawyer wasn’t doing anything to help me so I hired Lynn and it was the best decision I have ever made. She was there for me through out the whole process and help me get my license back in a matter of 4 days! She always answered the phone and if she didn’t I would get a call back from her at least 2 seconds later. I would recommend Lynn 100% to anyone who wants their case handled professionally and with care. Absolutely excellent attorney. She is on top of everything and works very hard to get the results that the client is looking for. She is dependable, returns calls pronto and is extremely caring about her clients. I met this attorney in the hallway of the courthouse in Durham, NC and explained my case. Before confirmation of hire or payment she gave her opinion on how she could win the case and immediately took necessary photographs for the case. We were able to communicate via phone and email and we did not have to travel over an hour multiple times to get my case resolved. Ms. Norton-Ramirez was able to get my CRIMINAL case dismissed! I can’t begin to thank her enough and for doing your job EXTREMELY WELL! Ms. Norton-Ramirez is a consummate professional. 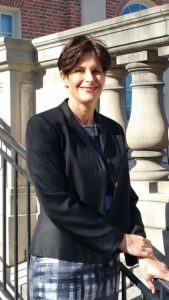 She gives clear, unbiased feedback on your personal situation and works ethically within the law to resolve your case as expediently as possible. I trust her advice and guidance implicitly and highly recommend her. Lynn handled my Violent Crime matter. Excellent Thank God, I had Lynn worked on my case. I used Lynn more than 3 years ago. Lynn handled my Criminal Defense matter. I have previously worked with 1-2 lawyers. I was pulled into a mess by University of NC Chapel Hill campus police. I had no idea what this is all about. Campus police was scaring me that they will lock me up and they have all they need to convict me etc etc etc. I was in panic. I asked Lynn to help me and she had done excellent job with DA to find out the story. They made me pay a fine but agreed to dismiss it. Thank God. I get out of that mess. I used Lynn more than 3 years ago. Lynn handled my Criminal Defense matter.I have previously worked with no lawyers. Lynn got me out of some bogus charges. She is cool and calm, always collected, very thorough and very knowledgeable. You cannot go wrong with Lynn as your rep! I used Lynn 1-3 years ago. Lynn handled my Criminal Defense matter. I have previously worked with no lawyers. Ms. Norton helped me with a theft case in Durham. She got me into the Teen Court program and after I participated in that program, my case was dismissed. She then filed papers to erase the charge. Now I can go on to college without worrying about this case. Ongoing representation of our teenagers I used Lynn 1-3 years ago. Lynn handled my Criminal Defense matter. I have previously worked with 3-5 lawyers. Responds to our many needs and helps us navigate the unknown court system. Keeps the right perspective on our needs.